I marvel at the resourcefulness of urban dwellers. 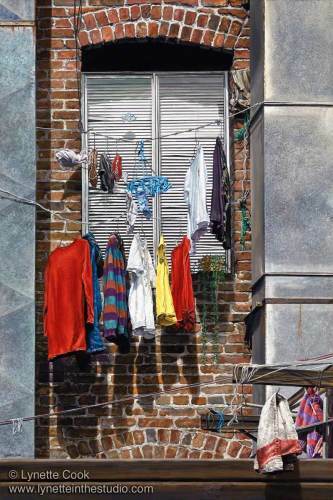 Those who reside here manage to dry their clothes in narrow spaces. Acrylic on Canvas.